Talking about his defeat in the previous elections, Akhilesh Yadav said that Samajwadi Party lost elections because the people were misled by the RSS. Speaking at NDTV's youth enclave, Samajwadi Party chief Akhilesh Yadav said that people's faith in Election Commision has been shaken. Hitting out at BJP, former Uttar Pradesh chief minister and Samajwadi Party chief Akhilesh Yadav claimed that the BJP can be defeated in all its ruling states across India if it faces defeat in Uttar Pradesh. 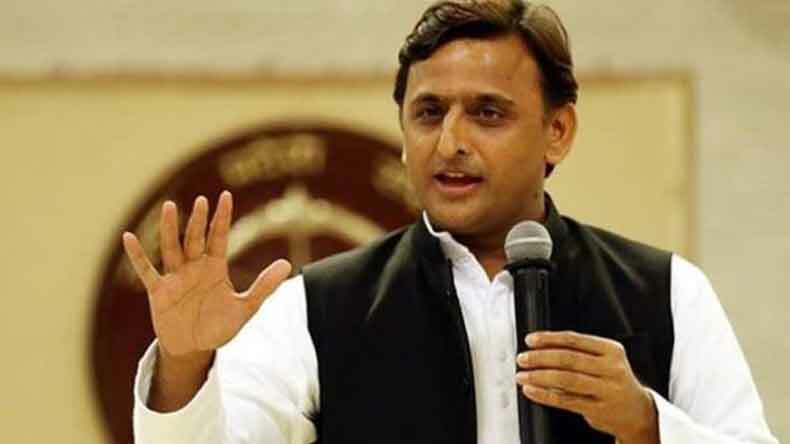 Talking about his defeat in the previous elections, Akhilesh Yadav said that Samajwadi Party lost elections because the people were misled by the RSS. Speaking at NDTV’s youth enclave, Samajwadi Party chief Akhilesh Yadav said that people’s faith in Election Commision has been shaken. Slamming the RSS Akhilesh Yadav added that it is not just for the political parties but in order to save the country, people have to stay away from RSS. Talking about his anger against RSS, Akhilesh Yadav said that RSS wants to divide the country on the basis of caste and religion and that’s why he is against the RSS. Mocking PM Modi, Akhilesh Yadav said that when Modi came to Uttar Pradesh to find black money, he failed and ended up meeting Amar Singh. Akhilesh Yadav further spoke about the Mahagathbandhan and said that they will announce the alliance post the elections. He added that they have to stop BJP from coming to power in 2019. Slamming the BJP, Akhilesh Yadav said that BJP’s plan is to keep youth fighting within themselves so that they do not ask for jobs and development. He further recalled his father and said that whatever he knows about the politics, he learned it from Mulayam Singh Yadav. The following development comes to light just a few days after Akhilesh Yadav had slammed Amit Shah’s 50-year remark and said that the public will be giving a befitting reply to BJP in coming 50 days.